NatureWise donates to Vitamin Angels on an ongoing basis to support the growth of US and international vitamin distribution programs, thus allowing our organization to reach more mothers and children worldwide with critical nutritional support. NatureWise began supporting Vitamin Angels in the fall of 2015 and has continued to build their involvement and contributions over the past year, becoming one of our fastest growing partnerships to date. Donations since their initial contribution have allowed Vitamin Angels to reach over 1 million children with essential nutrients—an amazing impact! The enthusiasm that the entire team at NatureWise shows through their work and attention to Vitamin Angels is truly unique. They make a donation on behalf of their customers for each item sold on an ongoing basis, including all supplements and beverages. In addition, DavidPaul, their founder and CEO, traveled with us last year to witness vitamin distributions in the Peruvian Amazon, and they continue to send employees on trips with Vitamin Angels so that they may witness first-hand the change NatureWise is making through their donations. 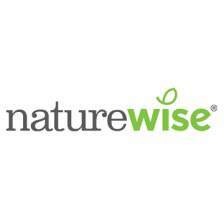 Vitamin Angels is proud to partner with NatureWise—their humbling generosity and passion for the organization’s mission and those we serve is absolutely inspiring. Our team would not be able to further sustain and grow our important work without their assistance and shared belief in the power of vitamins to empower wellness.